Be at the forefront of care delivery innovation. Impact clinical metrics, work more efficiently and create an inspiring patient experience. Based on patient-reported feedback from September 2017 – March 2018.
feel more connected to their hospital. are able to take better care of themselves. feel better prepared for appointments. feel more confident to manage their care. 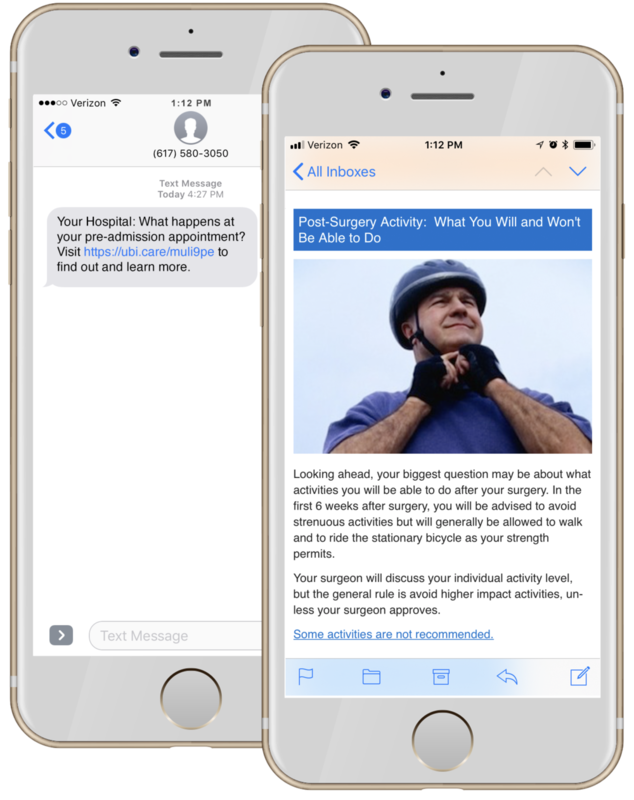 Interactive content engages patients, educates them to make informed health decisions and drives conversation throughout the healthcare journey. Connections happen over email and text. Patients never need to log in to access information. Comprehensive analytics let the care team monitor how patients are progressing and provide access to patients at any time. HealthEast improved the top measures of post-surgical outcomes for joint replacement, including a 36% reduction in discharge to SNFs, across both public and private payers. In a Deloitte study, 84% of Dept. of Defense patients say SmarteXp™ helps them take better care of their families. Innovative health systems trust us to make more than 9 million automated patient connections each year. Experience the platform as patients do. Sign up below to see how patients interact with SmarteXp™.